Experience the best Northern Ireland has to offer from a Year in Games and meet the hardworking heroes behind the scenes that made it happen. 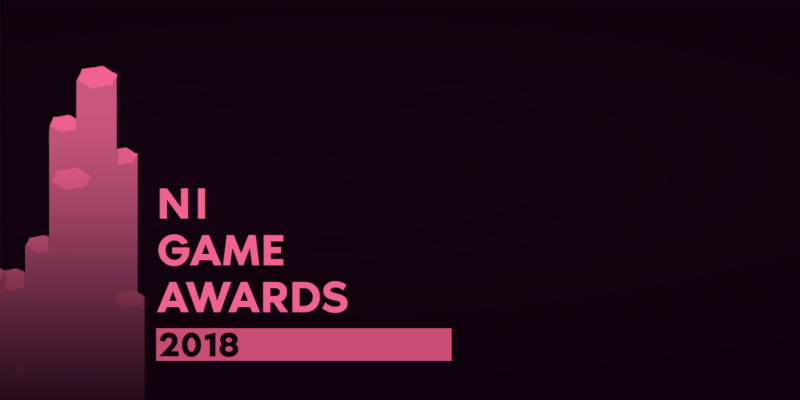 The NI Game Awards is hosted at Black Box on Hill Street and organised by committed, enthusiastic members of the NI tech and design community. The awards party is a fully catered event with complementary prosecco and a wide variety of locally-made games and virtual reality to experience. Some of the most anticipated games to come out of Northern Ireland this year are being demoed. The categories include NI Game of the Year, NI Most Anticipated Game, NI Game Studio of the Year, NI Rising Star, NI Community Award. The awards party gives game developers, enthusiasts and students the chance to network and socialise while celebrating the amazing local talent of the NI game developer industry. 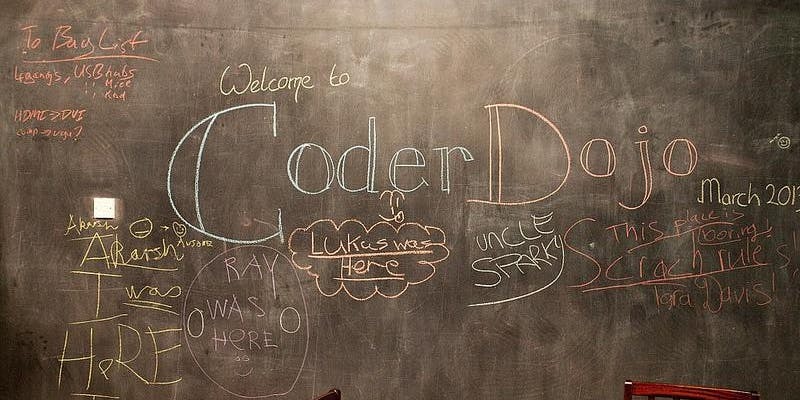 Developers will have the chance to let people demo their creations and get advice from some of the most experienced and talented developers in Northern Ireland. Anyone is welcome – whether they’re interested in creating games, or simply getting their name out there in the community. All that is needed is a desire to hang out and chat with other developers. Brought to you by NI Game Dev Network, with support from NI Screen and Farset Labs. Dress Code, though not strictly enforced, we think such an event would be a great opportunity for us to class it up a bit and dress in black-tie. So, dig out your finest suit or dress and let’s feel fancy for the night. Monocles optional. Mentors include Unity 3D and Unreal experts, multi-award-winning developers, and multi-talented artists. This will provide you with a brilliant opportunity to get some insider tips on improving your graphics and code, getting funding and making a profit, and even on how to get your game published. Do you want to bring your GAME DEMO? That’s awesome, but please check with us in advance so we can talk about space and time. Send the organisers an email at events@farsetlabs.org.uk for more information or ask via the Facebook group and someone will get back to you as soon as they can. As the venue will be serving alcohol, you must be over 18 by the date of the event for us to be in accordance with the licensing laws. We are really sorry if this means you won’t be able to join us this time, but please do follow us to keep up to date with other events in the future. If you’re travelling by BUS Customs House Square, next to Mc Hugh’s is the closest bus stop, which includes a Glider stop and is a 4 minute walk from the venue. If you’re travelling by TRAIN, Lanyon Place (Central Station) is the closest station to the venue and is a 16 minute walk, so leave plenty of time to catch the last train home. If you’re travelling by CAR, Dunbar Street and Exchange Street are the closest car parks, just 4 minutes away. As per our standard, any profit or remaining finances will go to the NI Game Dev Network community, passing forward to future events and to supporting the NI game community. Posted on 14/01/2019 14/01/2019 Author Zoe Gadon-ThompsonCategories NewsTags awards ceremony, awards party, game design, game development, indie gamesLeave a comment on NI Game Awards 2018! Update 22/12/2018: An early Christmas gift – you can download our jam poster to print out, with a brilliant illustration by local street artist, Friz. 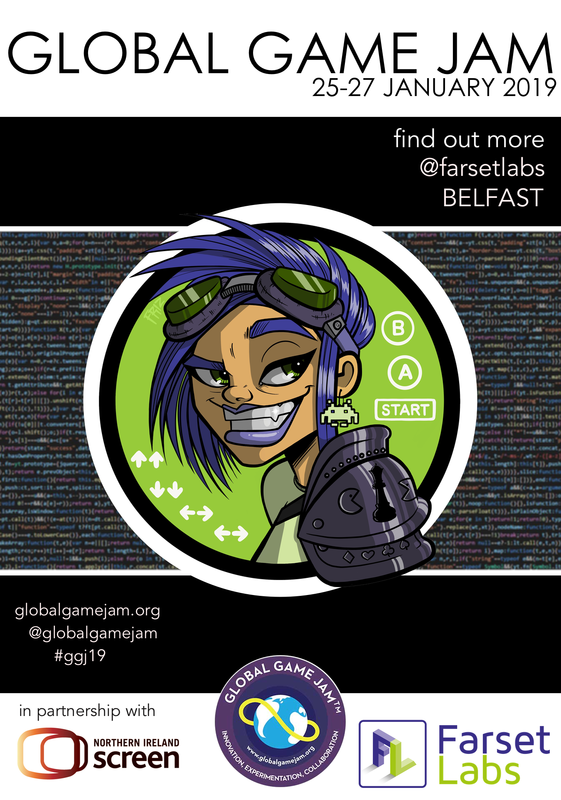 Global Game Jam at Farset is back again in 2019, in partnership with Northern Ireland Screen. The Game Jam will run from Friday 25th to Sunday 27th, and is a chance to meet some great people and develop a fun game in a weekend. With a party atmosphere from Friday night, there will be plenty of people there to team up with, create something interesting and, most importantly, to have fun! 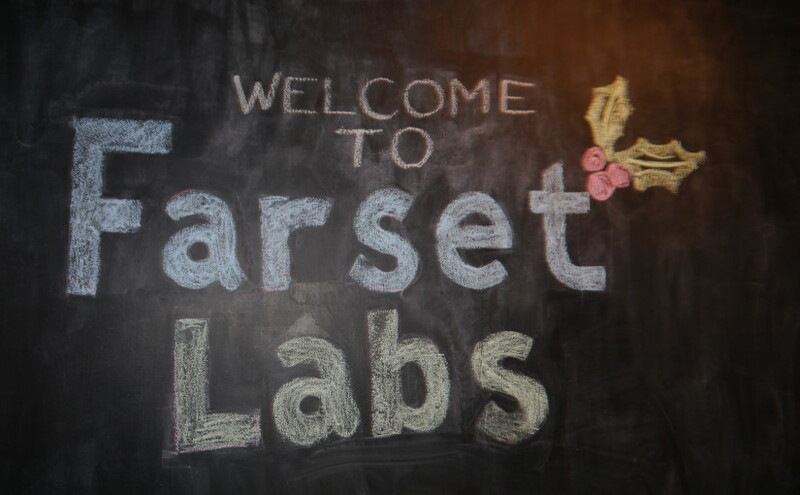 We ask that you reserve your seat at Farset Labs on Eventbrite, so that we can get accurate numbers for food and requirements, and you can get some nice swag. You can then complete your Global Game Jam registration at globalgamejam.org on (or before) Friday 25th January. Global Game Jam is always very popular; so to avoid disappointment, book early! Tickets this year are £6 each – buying a ticket will reserve your seat for the weekend as well as helping us to provide you with catered meals for the full weekend and unique GGJ Belfast loot! The game jam’s theme will be announced at 5pm on Friday 25th January so we recommend all participants to be in Farset before that time, or send word if you will be arriving later on. We look forward to seeing you all, as it will be a great weekend! Download our event poster to print out and keep, or share it around. Thanks to Friz for the excellent illustration this year! WHAT IS GLOBAL GAME JAM? 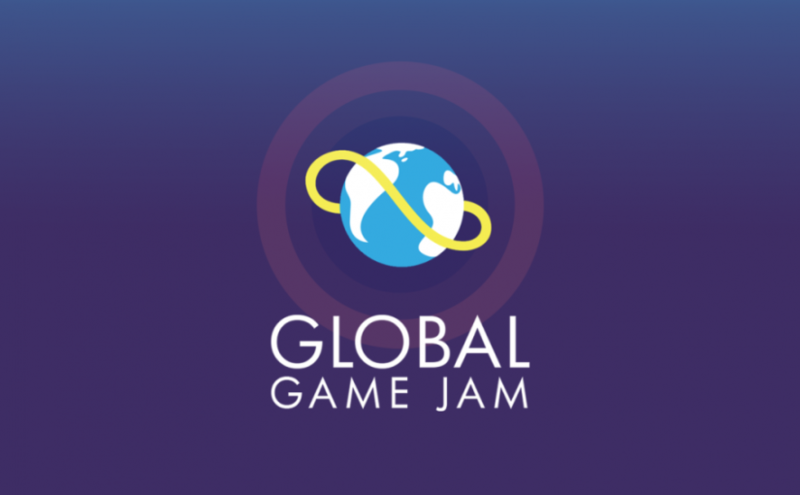 Global Game Jam is a hackathon focused on games of all sorts, from full-scale console productions to mobile, web-based and embedded games, as well as non-digital productions like board and card games. Some will be frivolous, others developed for solid causes, such as social impact in the case of the Games For Change movement. There are already a number of large sponsors involved in this year’s global event, including Facebook, Unity and Github. The first Global Game Jam ran in 2009, and this year there are already over 500 individual Jam sites registered around the world, and Farset Labs has been running Northern Ireland’s only public GGJ site since 2013. We will be live streaming video from sites all over the world during the 48hr event. There will also be an opportunity to see and play other teams’ games at the end of the event. The details of the venue are also available on our Global Game Jam listing. There is no required skill level or barrier for entry; we welcome programmers, artists, musicians and anyone else who might be interested in being involved! Bring yourself and your equipment – the organisers recommend that participants wait until the beginning of the event to form teams. 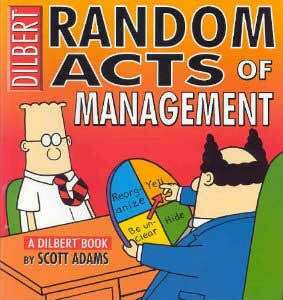 We have found that this worked well in the past and gives interesting results. Please note: You must be over 18 on the 25th of January in order to participate. More information will be provided in the run-up, but please feel free to contact events@farsetlabs.org.uk or ask us questions via Facebook or Twitter with the #farsetggj18 hashtag. Brought to you to in partnership with Northern Ireland Screen. TL;DR If there’s something that you think needs fixed/changed in Farset Labs, go to our somebody-should Github Repo and raise an issue. Over the past 7 years, we’ve had Trello, Google Tasks, Asana, Trello Again, JIRA, Trello again and finally JIRA, as issue-management and tracking systems. All have had loads of bells and whistles and integrations and tracking workflows, and hardly any got used by the general membership to raise issues that were affecting them. When I was living in Liverpool, I joined DoESLivepool. They have a very simple system that feeds in to not only their weeknotes bot, but also their machine booking and repair tracking system; a github repo that only stores issues, called somebody-should. So, for the past month, we’ve been quietly switched over, referring people who raise issues in the Slack to raise an issue on our repo, populating and processing a few sample issues, experimenting with milestones, and generally faffing. So now we’re “officially” announcing it. We’re still fiddling with some of the documentation, but as they say, no good plan survives contact with reality, so go raise some hell(ish issues).